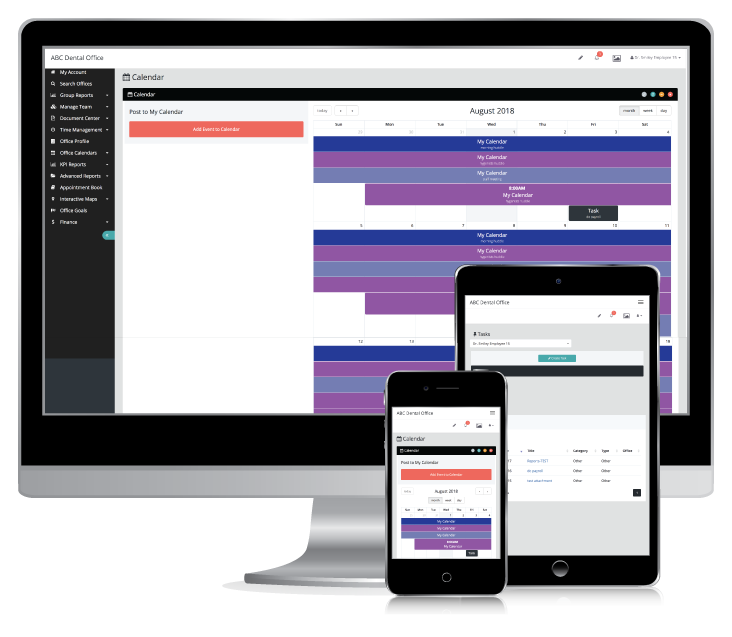 Employee management software improves your dental teams productivity, forecasting and task tracking while saving management time and money. Get ready to go paperless, and access your data anytime, anywhere. Store your employee files and Human Resources documents in our secure cloud-based document vault. 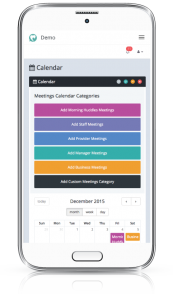 Make internal communication with your dental team simple with our Internal Messaging Center and Meetings Calendar. Assign jobs to your staff with our Task Manager. Dental Practice Pro is the only dental business online software that collates your dental employee documents, HR data, certification, and benefits all in one place accessible on a secure cloud based dental management software. 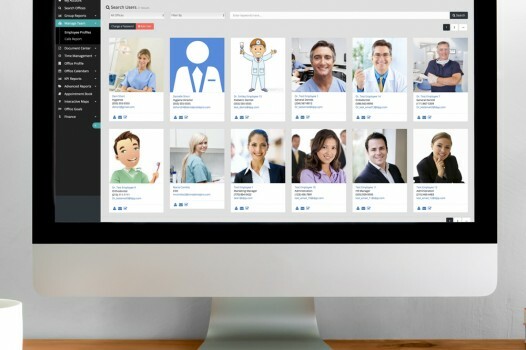 With Dental Practice Pro Human Resources employee management tools, you can do more than just store HR information in an online database. 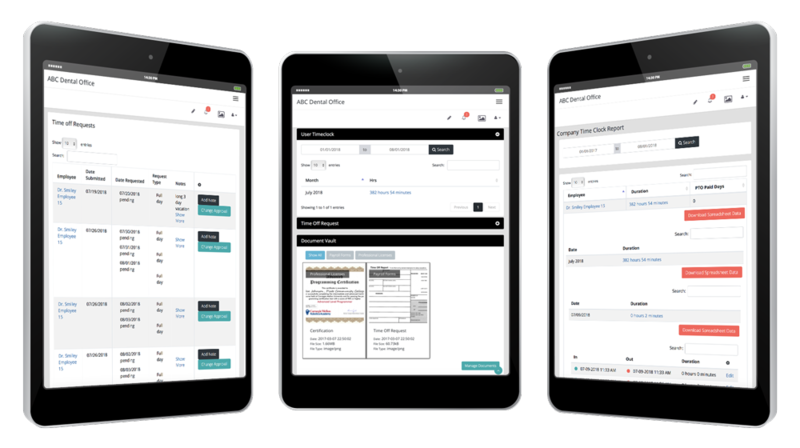 You can actually reduce HR administration work for your dental practice with our dashboard solution. Dental Practice Pro is your solution for having a safe and secure place to store important human resource files online without compromising employee confidentiality. Dentists maintain their peace of mind and sensitive employment information with our fully HIPAA and HITECH compliant paperless online Document Vault feature. Take care of your dental team, and they will take care of your patients better than anyone else. 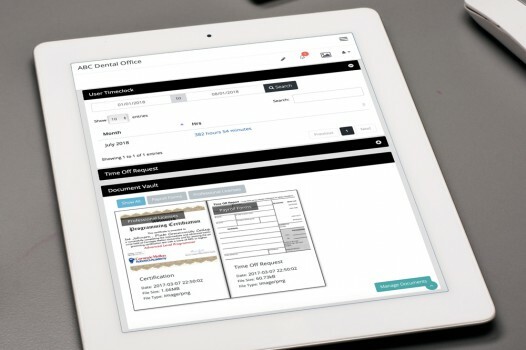 Employee Management Software Features Document Vault secures Employee Documents Online with Dental Practice Pro cloud based dental management software. Team collaboration and communication are simplified with Dental Practice Pro’s cloud-based employee driven applications. Simplify and automate HR workflow to increase efficiency and save time on employee task management. Using our secure dental team inbox communication tools and employee task manager you can quickly relay secure data and assign “to-do’s” to your entire dental staff. 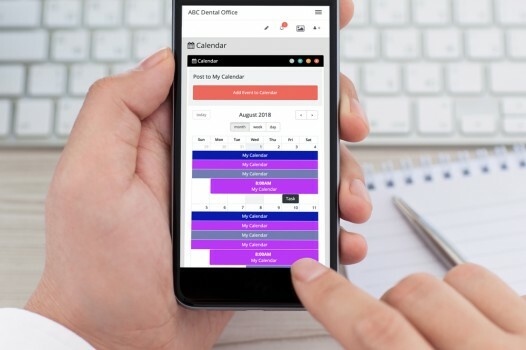 Dental Practice Pro employee meetings calendar on our cloud based dental software aids with your dental staffing needs. Get a snapshot of your dental group’s operations to maximize productivity, improve employee performance and control costs.